Anacamptis coriophora is a slender and elegant plant with a height of 20 to 50 cm. The 4 to 7 foliage leaves are lanceolate, dark green and unspotted. The uppermost leave embraces the stem neatly. The inflorescence carries up to 40 flowers with a short spur. The two petals form a dense hood together with the sepals. The labellum is three-lobed and bent downwards. 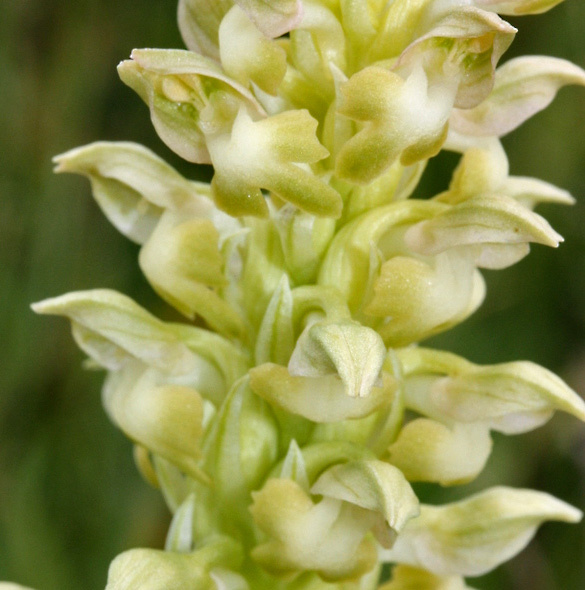 In 1753, Linné described the plant as Orchis coriophora. 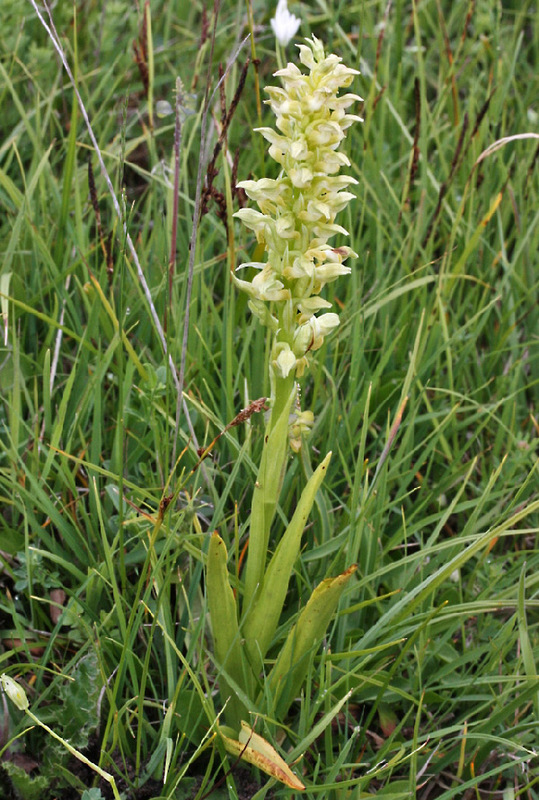 Richard M. Bateman and others put the plant to the genus Anacamptis in 1997. The flowers of Anacamptis coriophora are mostly purplish to dark red, sometimes with a touch of green. The edges of the labellum are darker than its centre. H. Kretzschmar, W.Eccarius and H. Dietrich (Die Orchideengattungen Anacamptis, Orchis, Neotinea. 2007) point to a rare apochrome variety lacking the red pigments so only the green colour is visible. Anacamptis coriophora lives on grassland, meadows and pastures, often on moderate wet grounds. Bloom is from May to July. Its main distribution is the Mediterranean with some endangered populations north of the Alps.